We said it was coming – it’s landed! 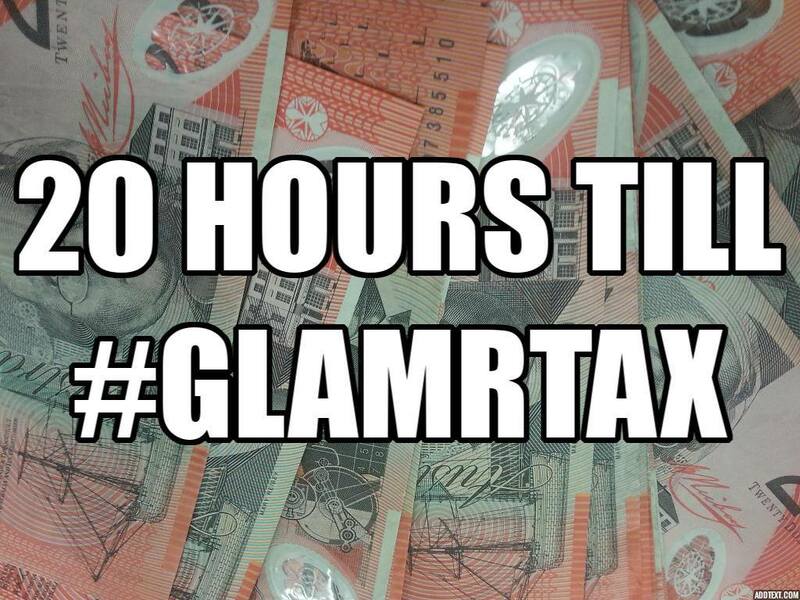 Our next event is a talk/workshop on personal taxation issues for people working (or studying) in the GLAMR sector. 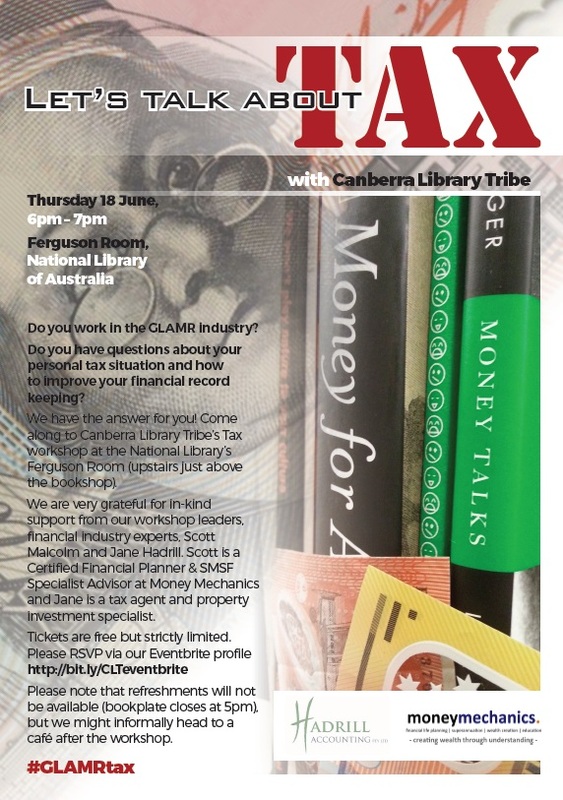 It’s on Thursday 18 June, 6-7pm in the Ferguson room at the National Library of Australia. We are grateful to for in-kind support from our wonderful workshop leaders, financial industry experts, Scott Malcolm and Jane Hadrill. Scott is a Certified Financial Planner & SMSF Specialist Advisor at Money Mechanics and Jane is a tax agent and property investment specialist at Hadrill Accounting. Please note that refreshments will not be available, but we might have an informal afterparty at a cafe after the workshop. Tax talk – save the date! Our next event will be a talk on personal taxation/money issues for people working in the GLAMR sector. It will be held on the evening of Thursday 18 June. We have lined up some stellar speakers and are really looking forward to providing information about deductions and financial planning. It will be more exciting than you think! Limited tickets will be available soon for this free event, via our eventbrite account. Stay tuned! 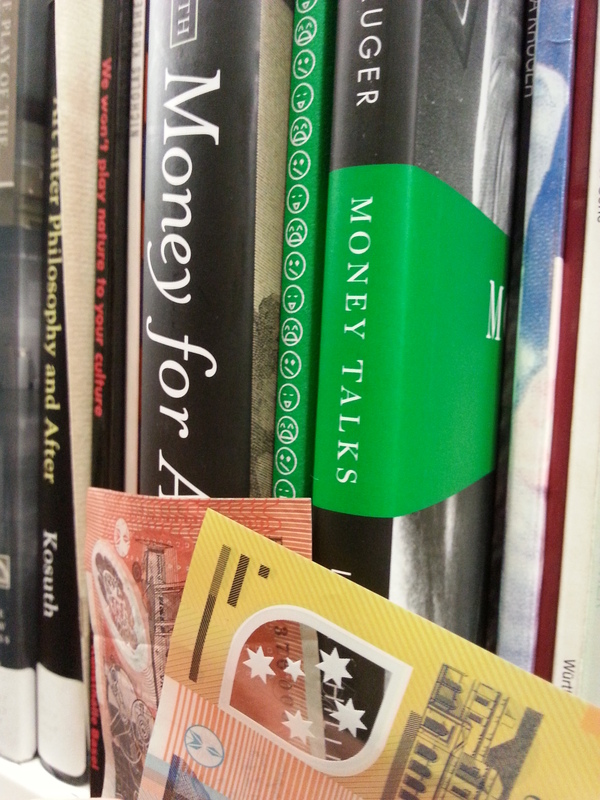 Posted on April 27, 2015 Categories EventTags Canberra, money, Tax1 Comment on Tax talk – save the date!